Members of the police/school board hockey academy had a chance to play and learn from a very special guest before school. 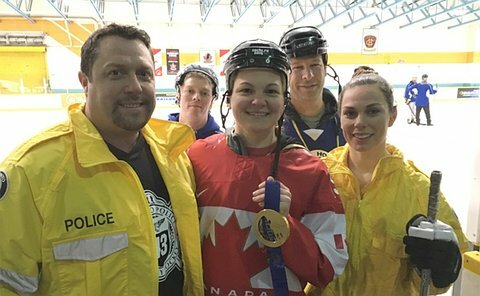 Olympic Gold Medalist Jenn Wakefield, a member of Team Canada in the Women's Hockey 2014 Olympics joined students from the ER14 Hockey Academy on the ice on January 11. 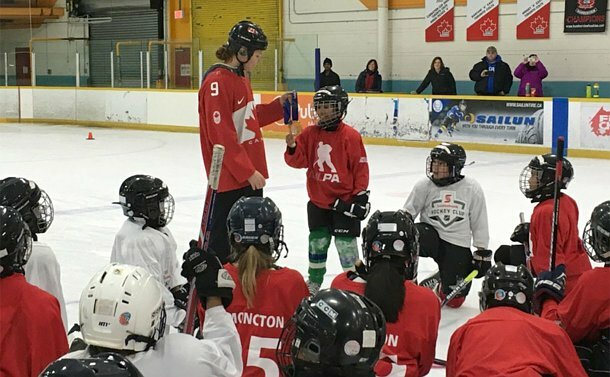 The Academy is made up of 30 boys and 30 girls in Grade Five from schools in Scarborough who have never played hockey before and are taught by teachers and police officers within their community. The morning was week five of eight and the students have shown amazing improvements and eagerness to learn. We are so happy to be a part of this program. 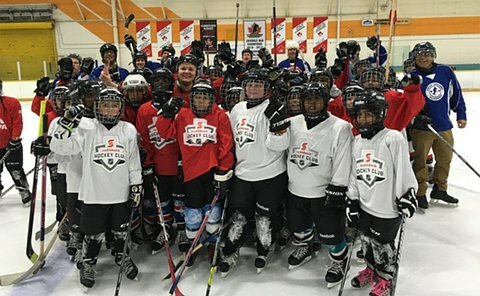 Canadian Tire Jumpstart helps provide the equipment for the kids and allows the students to keep their skates and helmets. Anyone who signs up for a hockey program gets to keep the rest of the equipment. Each of the elementary schools nominates three to four kids to the program that are looking for more exercise or have never been given the chance to play hockey. Superintendent John Chasty, of the Toronto District School Board, contacted Toronto Police to help build the relationship between police and youth, and make long-term connections.